This is normally a 10 – 20 minute introductory meeting at school between interested teachers and Opwall education staff, so that they can be introduced to the research programmes, safety systems and educational benefits. If at the end of this meeting the teachers are interested then a date and time are arranged for an evening presentation to explain the programme to students and their parents along with the interested staff members. Note there is no commitment in arranging an evening presentation and if at the end of the talk the decision is that a group will not be going from the school, then there are no costs payable. After this initial meeting, the teacher chooses their preferred expedition destination and selects a favoured project with a possible back up country to be given at the evening presentation. Opwall then forwards all the relevant health and safety documentation regarding the preferred expeditions so the process of approval can be started. This is shortly after the initial meeting, 4 – 5 weeks. Once the preferred country has been selected and the health and safety issues have been considered. The presentation to students, parents and the interested teachers describes the research objectives, facilities, timetable for the group and the learning objectives for the high school group for the proposed expedition. 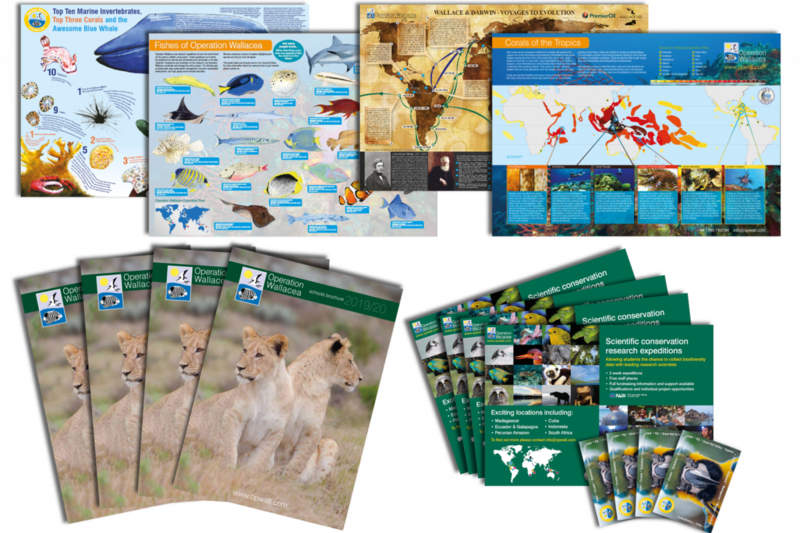 Some expedition weeks are very popular so it is advisable for a school to hold places on particular expeditions before their evening presentation and these places can be held for up to 1 month after the presentation, with no financial commitment. If the held places are not needed the school just cancels them and they are allocated to another school waiting to hold places on that expedition. From the date of the evening presentation the group have a month to secure their place. If they are going then the lead organizer at the school completes the booking form with the group names. All student group members then pay a non refundable deposit for the preferred expedition dates. Opwall then issues an invoice to the school with a schedule of agreed installments with the final payment being made 3 months before departure. 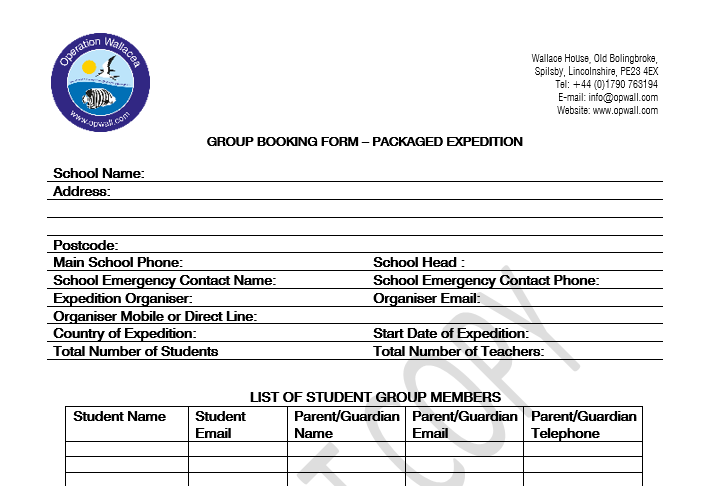 Any teacher costs will be invoiced the April before the expedition starts. Payments can be made via cheques or BACs transfer. 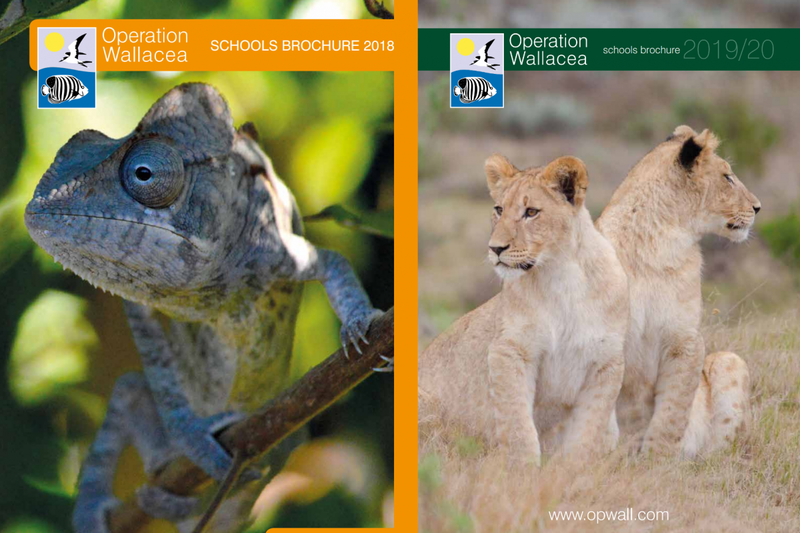 If the group wants to fundraise for part or all of the expedition costs then Opwall will arrange for a professional fundraiser to advise the interested students and parents as soon as possible after the evening presentation either directly or via a Skype meeting. The purpose of the meeting is for the fundraiser to explain what activities, events and other fundraising ideas schools can use to reach their fundraising target and the likely income from each of these activities. The objective is for the group to develop a fundraising plan with details of activities and events to be completed and the estimated income from each. It is extremely beneficial if the parents can stay involved with the fundraising. If the students are doing external qualifications such as CoPE, this planning and implementation of a fundraising plan is part of their qualification and an assessor will be sent to review their progress later in the process. This week was an amazing experience from a photographer point of view, the scenery is beautiful, the animals were exhilarating. Overall, I wish we could have stayed longer. Best experience ever. So much learnt and very influential and encouraging with regards to conservation. Imagine the best and then it’s even better. A gritty and challenging experience full of fantastic opportunities, both on a personal level and an educational one. What an outstanding natural environment to work side by side with cutting edge scientists in the field on a wide range of current biodiversity issues.